They provide shade on a hot day, tasty syrup for your pancakes or a splash of bright color against a dull autumn sky. Of the more than 120 species of maple trees (Acer spp. ), 13 are native to North America, growing in U.S. Department of Agriculture plant hardiness zones 3 to 9. 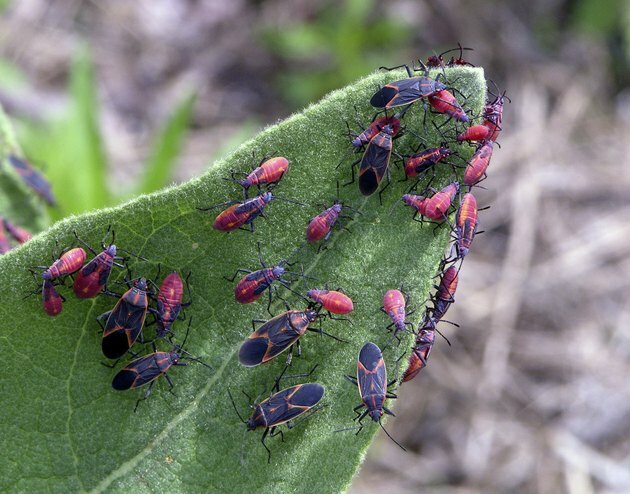 Just as there is a wide variety of maple tree species and cultivars, there is an equally diverse assortment of insect pests that threaten these trees. A close-up of maple leaves with brown edges. A colony of boxelder bugs on the bark of a maple tree. Chewed edges or holes on maple leaves are usually signs of a caterpillar pest. Cankerworms, also known as loopers or inchworms, are green to black moth caterpillars that move along leaves in a looping motion. Yellownecked caterpillars are black with yellow stripes and an orange head. They feed in groups and can completely strip small maple trees of their leaves. 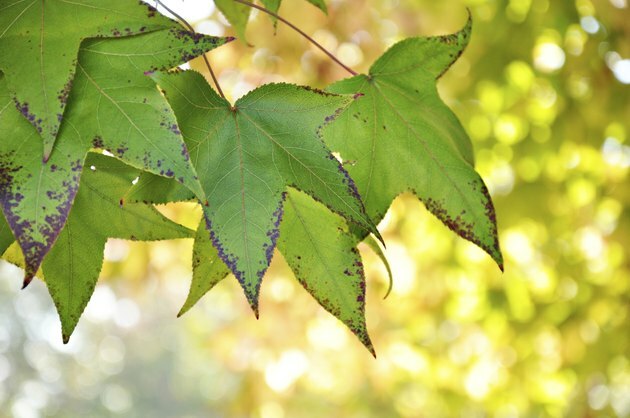 Other leaf-eating bugs that infest maple trees include tiny, pear-shaped aphids, black and red boxelder bugs and bronze-colored Japanese beetles. Established, healthy maples rarely die from a season of leaf-eating pests. Natural predators, including birds and parasitic wasps, tend to keep defoliator populations in check. Vulnerable, younger trees may require more aggressive pest treatment to ensure their survival. Picking the pests off saplings by hand is usually enough to protect the tree but pests are not always easily accessible. A naturally occurring bacterium sold at garden centers, Bacillus thuringiensis var. kurstaki, effectively eliminates pest larvae without harming other insects or plants. 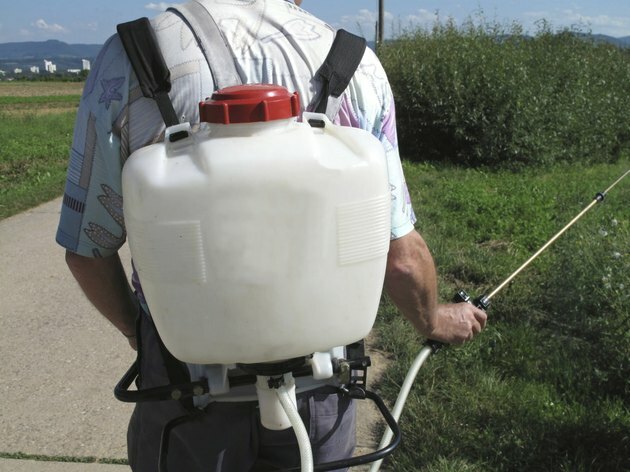 Mix 1 tablespoon of the concentrated Btk solution in 1 gallon of water in a garden sprayer and spray the tree in the afternoon in late April or early May when caterpillars are actively feeding. Shake the sprayer as you spray and cover all leaf surfaces but avoid breathing in the spray and wear goggles to protect your eyes. A second application may be necessary five to seven days later. Follow the rates on the label as they vary by brand. Some maple bugs remain hidden within the tree but the damage they cause soon becomes evident. 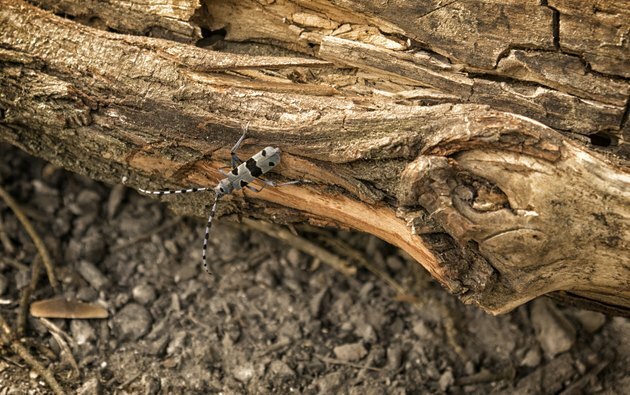 The flatheaded appletree borer, Asian longhorned beetle and ambrosia beetle are particular pests of maple wood. The larvae of these beetles tunnel through the hardwood of the tree causing girdled trunks and canopy dieback. While it may be impossible to see inside your tree to identify the pest, exit holes in the trunk or on branches, along with small toothpicklike protrusions of beetle waste jutting out from the bark, are clear signs of a wood boring pest. Wood boring insects typically attack already damaged or unhealthy trees. Keep your maple healthy by appropriate watering and fertilizing for the species or cultivar, pruning dead or damaged limbs and protecting the trunk from injury by lawn equipment. Chemical treatments are rarely needed and must be repeated indefinitely. If your maple tree is heavily infested and showing severe damage, it is best to have it removed so nearby trees don't become infested.